On the site of the castle on top of the tallest mound is an ancient Medieval Saxon church from 1000 AD which has been rebuilt in the 17th century, and believe it or not an actual Roman Lighthouse! It was built in AD 43 when the Romans invaded England and is one of the best surviving Roman Lighthouses in Europe. We did the Dynamo tunnel tour, and as the film Dunkirk came out recently it was great timing to hear the real story of how the British forces managed to evacuate so many soldiers. 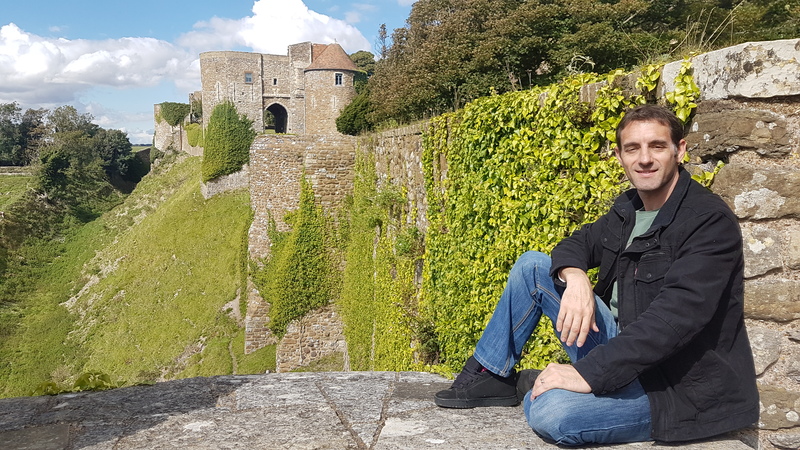 Dover Castle is the largest castle in England and was totally unbombed by the German forces because Hitler put an embargo on damage as he wanted to own it for himself! 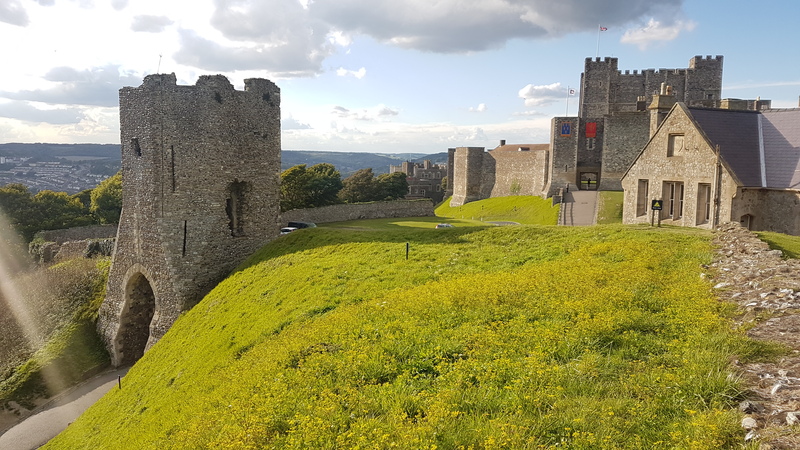 The castle had to prove itself in a war situation in 1216 when a few hundred men defended it from Prince Louis of France after King John reneged on Magna Carta. 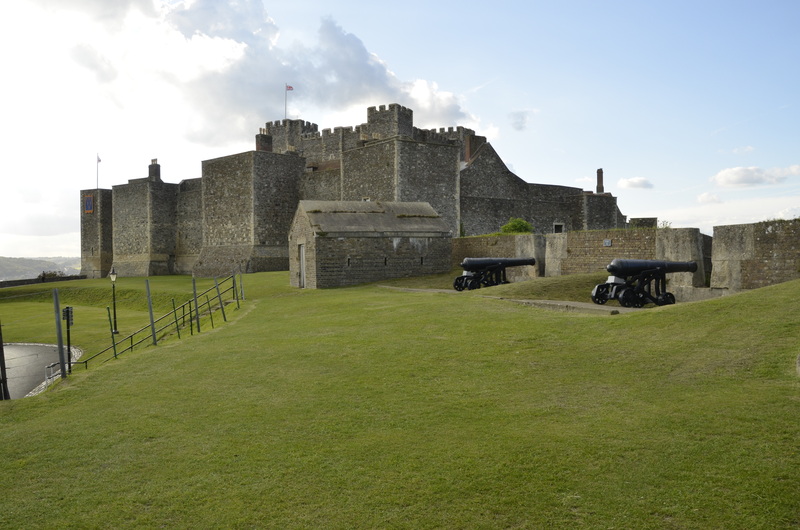 In the late 18th century, during the Napoleonic Wars, Dover Castle’s defenses were upgraded again. 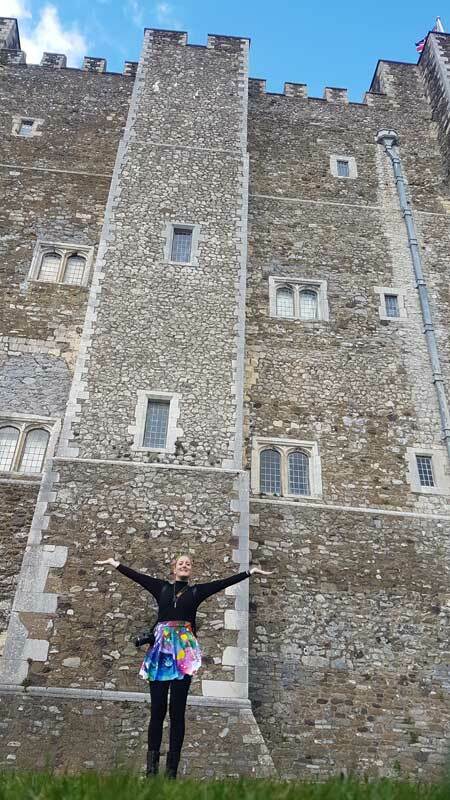 More gun positions and platforms were added, and the roof of the keep was replaced with bricks so that heavy artillery could be used from the top of the keep. If you go into the Gallery inside the Great Tower (the Keep), you can stand above the King’s throne, but you can see how the roof was rebuilt in a curved brick design which does cover the top part of the gallery windows. A series of tunnels were constructed as a garrison for troops during the Napoleonic Wars. 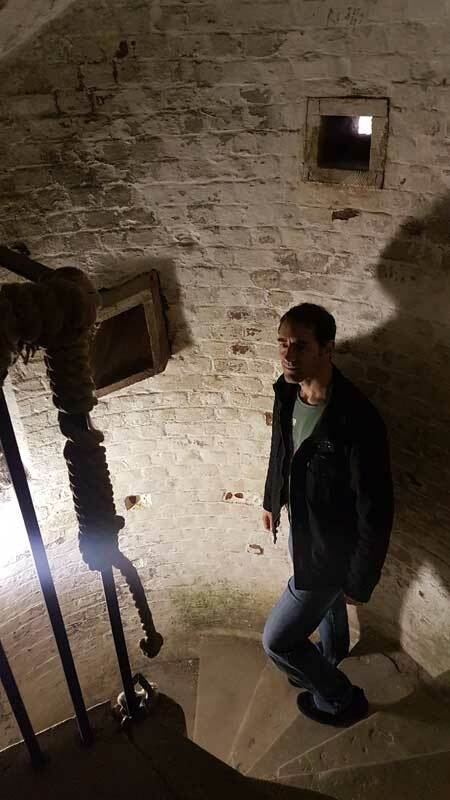 About 2000 used the underground barracks, you can explore some in the Hospital and Dynamo tunnel tours, but most of them are closed off. 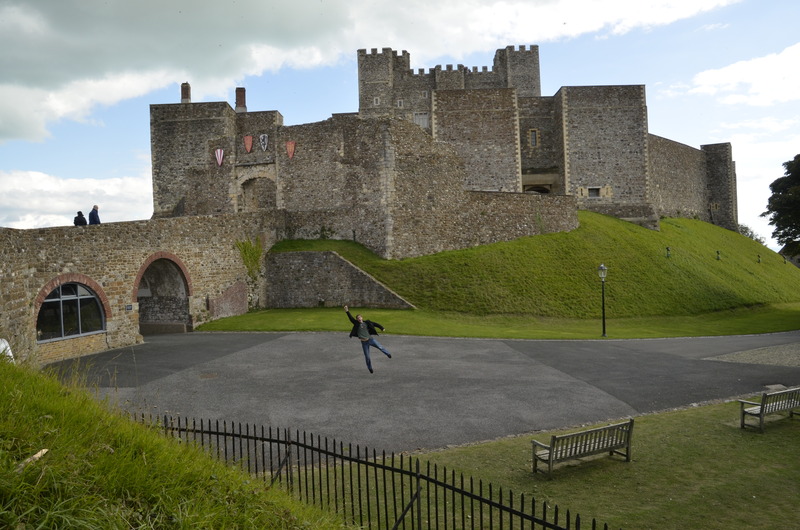 Tony doing the Superman at a deserted Dover Castle, September is not too crowded we highly recomend it! 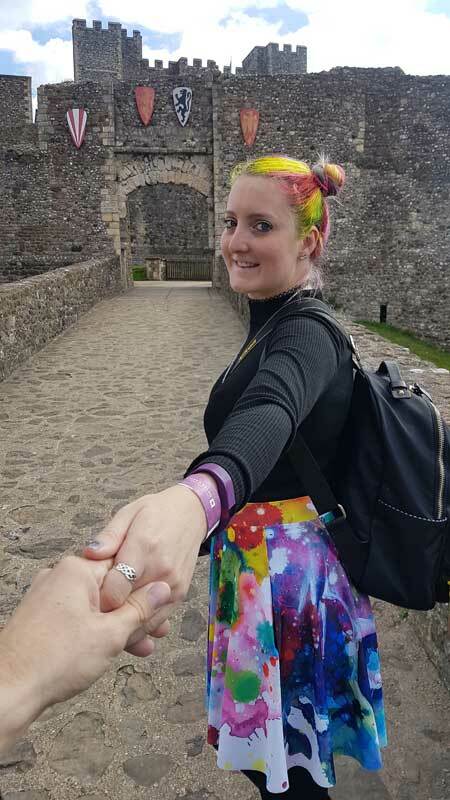 We definitely needed more than 4 hours to explore the castle complex fully, we took 6 hours because we stopped to explore lots of the gate houses and walked along the walls a lot. 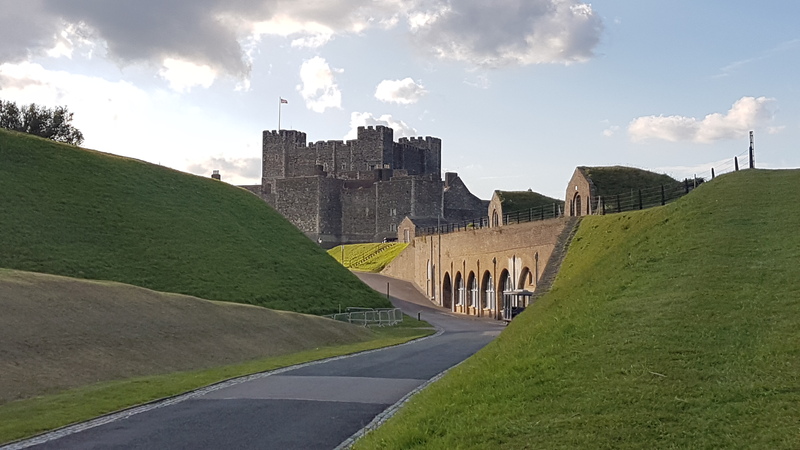 While wandering around the The Constables Gate area we discovered that you can rent rooms from English Heritage and stay in the castle walls overnight… wish we had known this earlier because although our self catering apartment in Dover was a great location for walking to town we would FAR rather have slept in a castle! Looking inwards towards the Constables Gate, Check out the vines/trees growing up the walls! 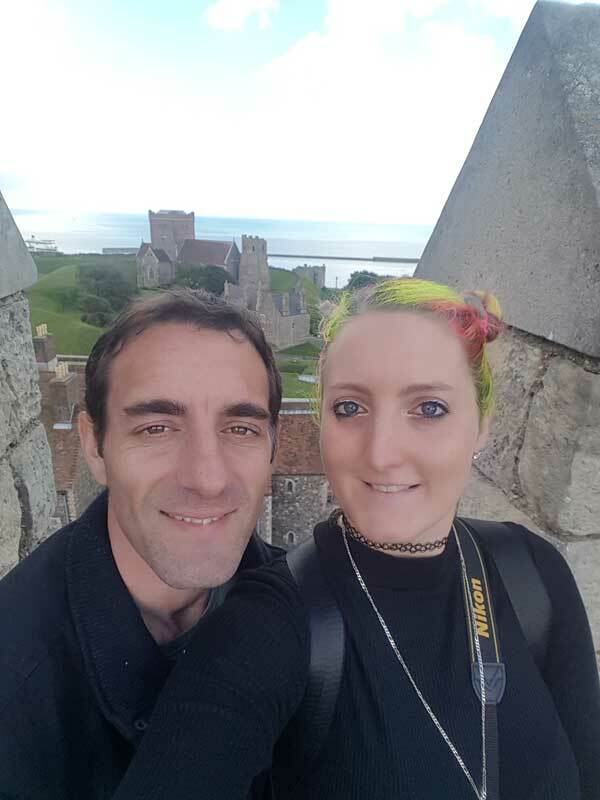 As the entry fee for Dover Castle is around £20, we decided to join English Heritage for £40 each a year in the hope that this will make us visit more castles and historical buildings in our time in the UK. 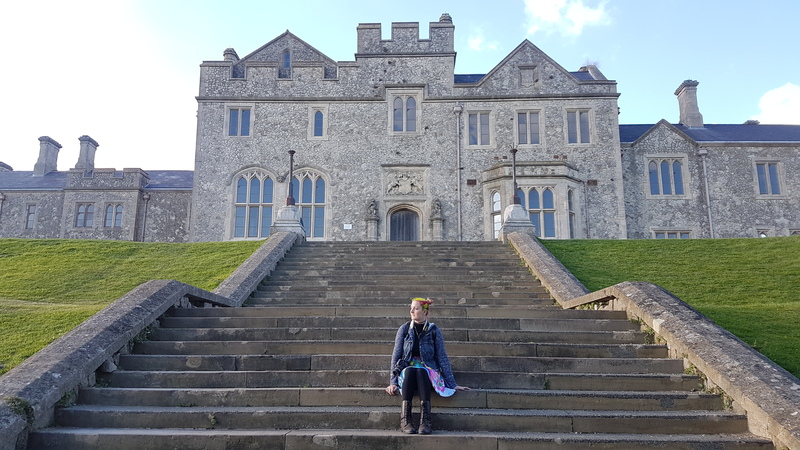 We really enjoyed ourselves and have had a great time in Dover, and we have aspirations to build our future home around a courtyard design. This blog will feel quite different to Tony’s style of blogging, however I had to take over because he is down to the final edit of book 6 (Which will be called “Don’t you know who I am?”) We just have to finish the front cover and format it, so fingers crossed you can all be reading his prequel in a fortnights time! 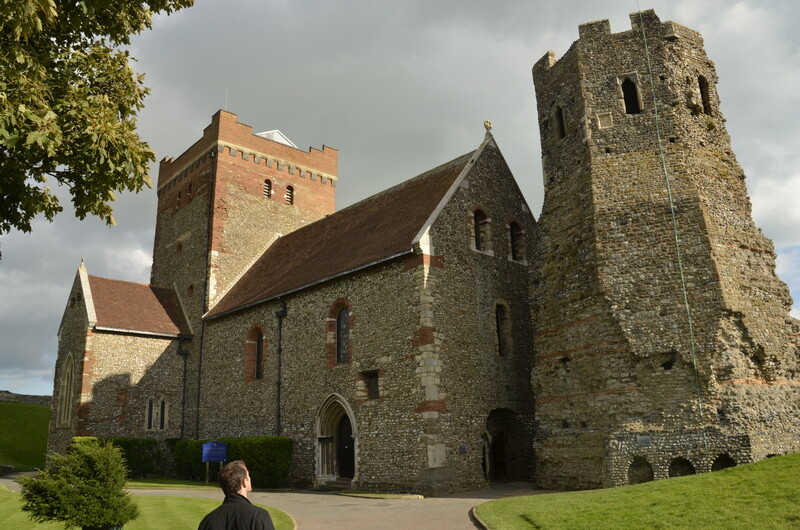 This is the Great Tower as they call the Central Keep here in Dover, it was built by Henry the Second in the 1180s. 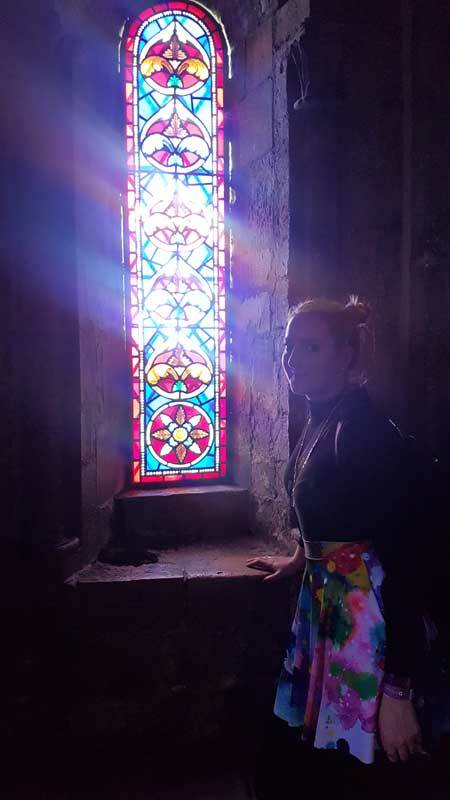 The stained glass in the chapel inside the Great Tower. 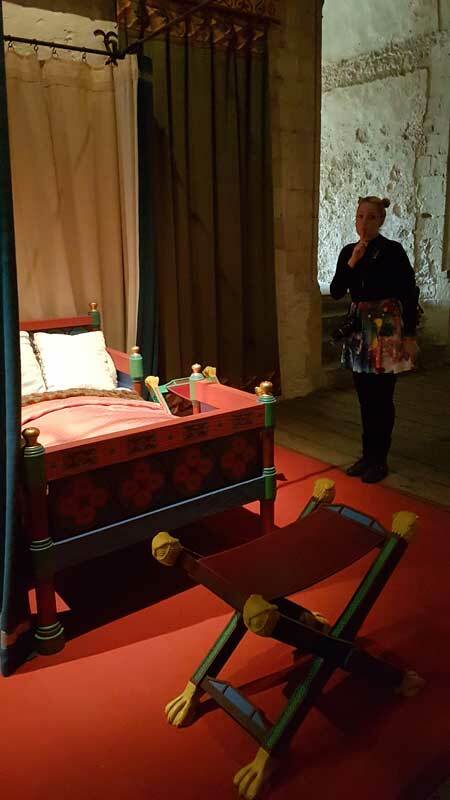 Inside the Royal bedchamber….Dont wake the King!! Down the Medieval Tunnels, these were built in the 1200s! Roo sitting on the wall. The big guns from the 1939 defences! This entire huge building was the Officers Mess Hall but is abandoned and sitting derelict because it would cost so much money for the English Heritage Trust to renovate it to safe use standards. Looking back towards the castle from the carparking area. Medieval Saxon Church built in the 1200s. You can clearly see the Roman Lighthouse on the left, this was built in 45AD! Graffiti on the walls of the Great Tower. 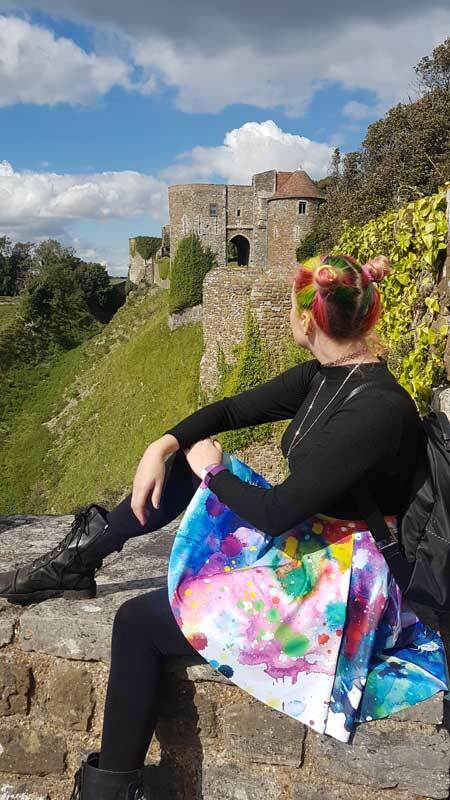 We had such a gorgeous day to explore Dover Castle! Looking from the Signal Bunker towards to Port of Dover, you can see the white cliffs at the left side. 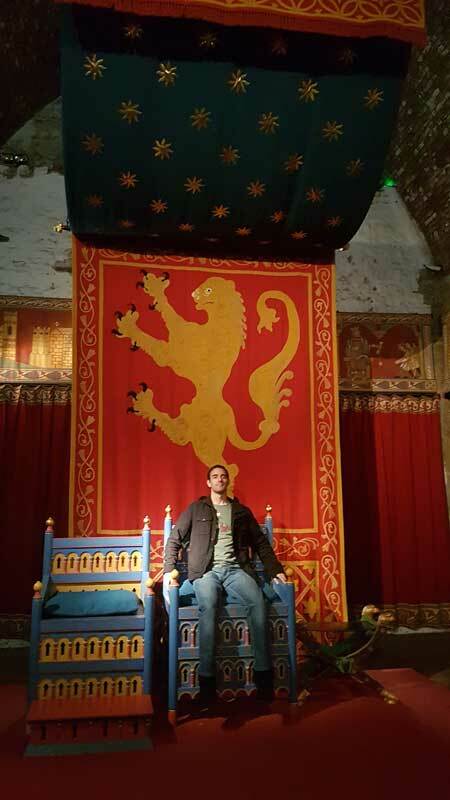 Its good to be King… 🙂 Tony sitting on the throne in the Great Tower! The view from the roof of the Great Tower looking towards the Church and Roman Lighthouse, and beyond towards the shores of France! Roo, what a great blog entry! I loved the history of the castle and wouldn’t mind living there, myself. As to you and Tony building a house, a castle would definitely keep you safe, except for the possibility of falling off the ramparts. Will you have a treboucet? I saw one for sale on eBay UK last week. Different from your usual posts, but no less enjoyable! 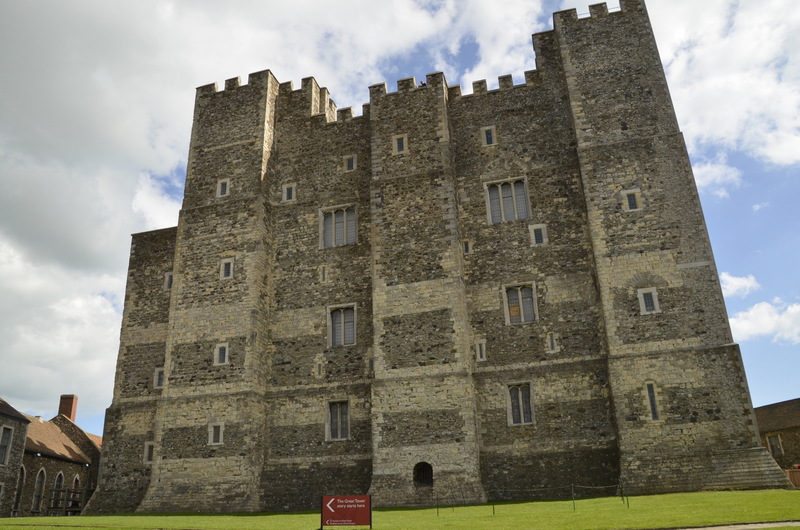 Your tour of Dover Castle was very interesting. 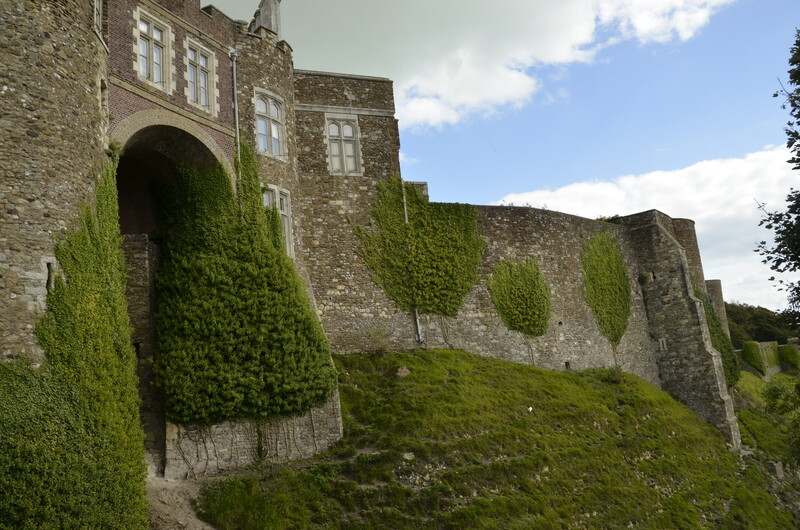 Did not get a chance to visit Dover when I was in the UK, missed alot. 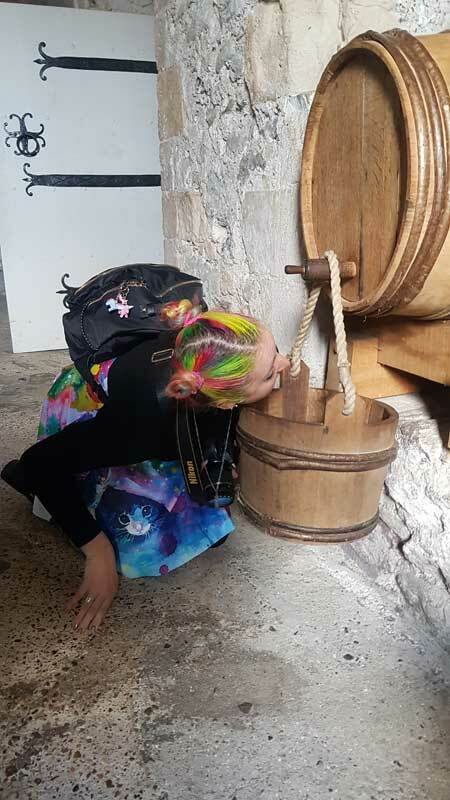 The history of the place is fascinating and the age of the Roman Lighthouse is mind boggling. 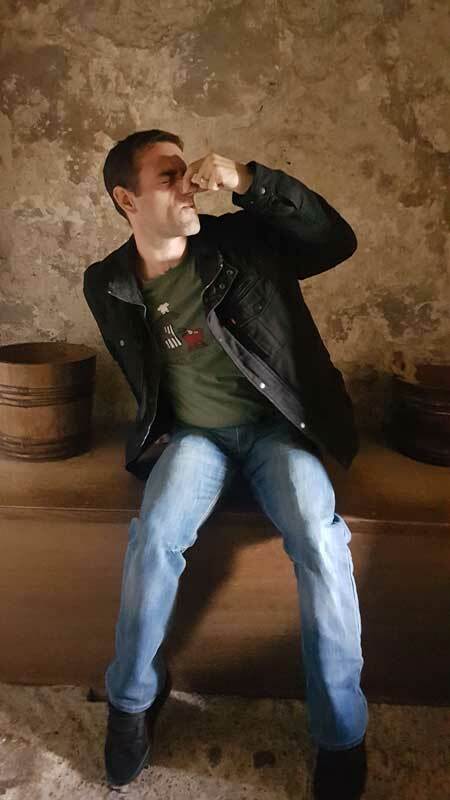 Glad you are having fun and giving us a different take on the local sites. I can totally see you exploring the forbidden areas! Take lots of pictures and leave a bread crumb trail…..;) Have fun and look forward to more of these posts, and yes your book also. 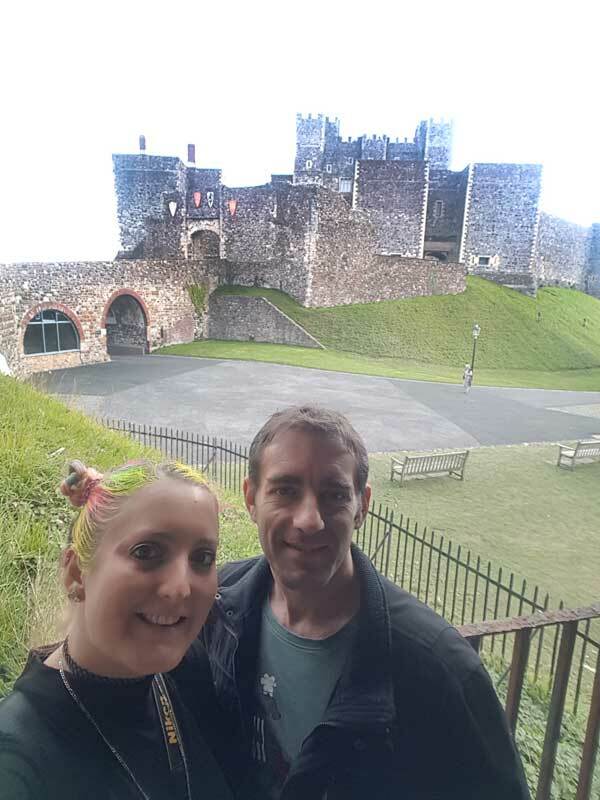 Thanks for sharing your visit to Dover Castle! That was on my list of “Places to See” when I was stationed at RAF Lakenheath in the 80’s. Unfortunately I didn’t make it there. Hopefully someday I will! Looks like it’s worth the 20 quid entry fee. I’m eagerly awaiting your next book! Have fun on your European travels! Hi you two looks like you’ve had a great time. Can’t wait for the new book as it will keep me going and cheer me up as I’m waiting to have finger joint operations. Will I be able to buy it on Kindle? Take care of yourselves you both look happy and well. Great tour of an interesting part of the world, and nice job of photography. Thank you. Thanks so much for reading our blog Bob! 🙂 Im really enjoying sunny weather to practice with my camera. Nice article. Good to see you’re still adventuring and nice to hear that the next book is well and truly in the works. Best wishes from Australia! Your reference to Tony not being trusted in dangerous areas prompted my own thought that many areas are not inherently dangerous, but become so with Tony’s presence… LOL! Great newsletter Roo. Loved the Photos! Are you still over in the UK? Where will your travels take you next? Scratch that question! I forgot you said you will be in Wales!